The Mobile uses SD cards for data storage in local mode only. We recommend leaving a card inserted in the unit during Wifi mode to prevent dust from entering the unit. In order to protect research data, the Mobile is very strict about the state of SD card formatting. Inconsistencies in the filesystem will result in an error. The error will occur either immediately after the card is first read or as the first data are being recorded. SD errors are all classified in the 2xx numbers with the most common errors being 200 and 215. To avoid the most common errors, always properly eject the card from the PC before removing and only remove the card from the Mobile when the unit is off or the screen shows an Unlocked () symbol. An error may also occur if the card is very close to full or very fragmented. When you receive any SD error, the SD card will need to be scanned and repaired or reformatted on a PC. Windows scandisk/chkdsk does not detect or repair all inconsistencies that the Mobile detects. In those cases a reformat is necessary. When formatting, the device defaults and Quick Format should suffice. Beware that a reformat deletes all files off of the SD card. 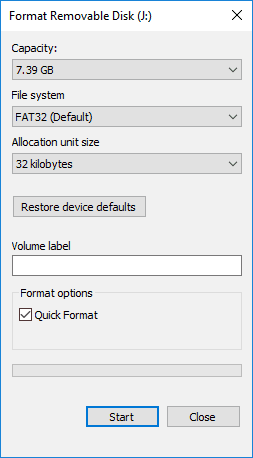 Copy off data before formatting. Over time, SD cards develop bad blocks which are internally replaced with spare blocks. When they run out of spare blocks, we have observed some cards becoming permanently locked. Files written to the card or deleted from the card reappear after the card is removed and reinserted into the computer. Reformatting the card will also fail. In these cases, replace the card. The MindWare Mobile is designed to work with any SD or SDHC card, however the choice of card can affect the battery runtime. With all channels enabled, the Mobile will fill approximately 2GB/day. Advanced, high speed cards will not have any advantage in the Mobile and may draw more power than normal-speed cards. Even a small increase in power draw will add up to a large decrease in runtime over a long acquisition. We have tested many cards for compatibility and runtime and chose to supply SanDisk 8GB SDHC cards to reach 18hrs of runtime with the Mobile. You may use any card but if you are trying to maximize your local-mode runtime, we recommend testing with that card prior to relying on it during a study.